Low carb, Paleo, Cabbage Soup diet, Atkins, Juice Cleanse, No Sugar…Meal Plans, Meal Prep! With all of these diets, trends and fads you would think everyone would be super healthy fit and pharmaceutical companies wouldn’t be thriving because we would all just stick to our designated diets. Ummmm… 1/3 of this country is obese and that number is climbing. Disease’s are on the rise and the only people winning here are the pharmaceutical companies. One of the easiest and hardest things I’ve learned is that diets don’t work! Diets are built to end. It is not something that is sustainable because there is always something being taken away. And when you take something away, you crave it more. So… First step is , which I know you’ve heard before, no more diets!! They will work for a little while, but everyone eventually falls off the wagon. What I have found works best for me is a well balanced diet and “counting my macros” (which I will discuss more in-depth in another post). For now lets keep it simple. A well balanced diet has every food group in it and moderation is key. Eat with a purpose, to help fuel your body, help you get the best out of your daily activities and of course your WORKOUT! The foods you eat can also help you fight illness and disease, along with exercise, everyone should be as healthy as a horse. However, as we all know this is not the case. People like to stay in their comfort zones. Don’t be afraid to experiment with new cuisines. Veggies are amazing when you steam, sautee, and roast. Carbs are NOT the enemy. Now don’t go and eat a plate of fries! Anything fried is not good for you! But, ohhhh taste so good (in moderation). Sweet potatoes, rice, quinoa, pasta (in correct portions) is all yummy delicious and not going to pack on the pounds. Now on to the Protein!! 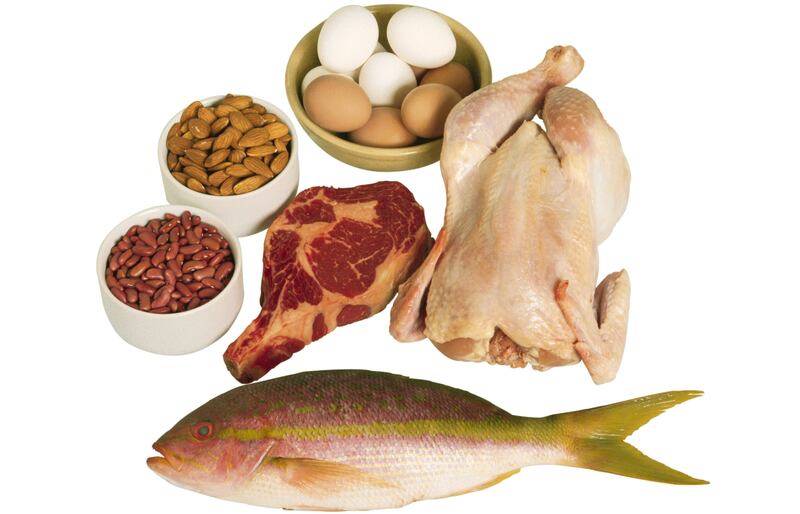 Don’t think that if all you eat is protein you will be a lean mean fighting machine. All your body will be is hungry for some bread. ( whole wheat or a nice sprouted wheat of course). Your body can only take so much of one nutrient before it starts storing it as fat until it is needed. So there is such a thing as “too much of a good thing”. Just be mindful of this when you pick an extra piece of protein over that sweet potato. Avocados, Nuts, Nut butters, Olive oil yum, yum, yum. 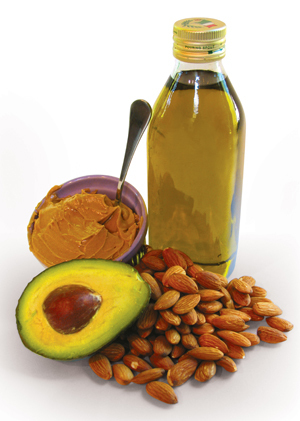 I love the “healthy fats” as much as anyone. However, these foods are still fat! They are fat that helps you but fat nonetheless. For example, I used to eat 2 hard boiled eggs, half an avocado and toast. All healthy and hitting every food group right..? But, I had a problem I couldn’t get my body to where I wanted it to be. It was driving me nuts! oh yea I was eating those too! Little did I realize that my fat content was way too high. I was almost at half of the fat I needed for the day, before lunch time. I wasn’t being balanced. Once I swapped one of the eggs for 2 egg whites and ate a 1/4 of the avocado, it helped reduce my fat intake for the day and my body started the transformation I was desiring. If you are not getting the result you want with the eating plan you’re on, maybe it’s time to review and remake your eating choices. Add some of the foods you took away. Like, more carbs, and less fat. (And if you haven’t noticed my theme in this post yet. It’s moderation). Ex- Measure out your cereal or rice to the appropriate serving size and be conscious and aware of how you are fueling your body. It is all about choices. Do you like Oreo’s? Allow yourself a treat once a week. Go enjoy! But remember a serving of Oreo’s is 2 not the sleeve! Small changes make big differences. So don’t be afraid of your morning toast or oatmeal, protein is not the only solution to a rock hard body and just because they’re good fats doesn’t mean you can eat as much as you want. So, be careful. And measuring cups are your friends, until you learn to eyeball portion sizes. 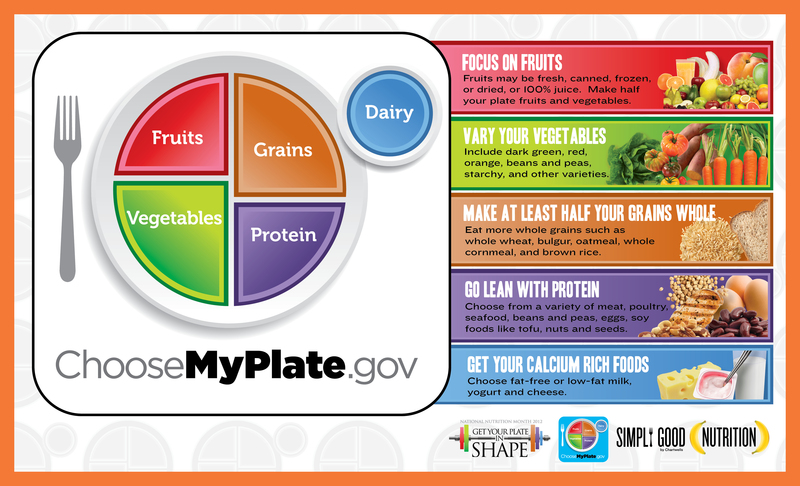 A way to start is to check out choosemyplate.gov to help balance out your diet and get some ideas about foods you can try. And proper portion sizes. Disclaimer. This post is geared towards a person who is a workout enthusiast or works with a trainer and may need to change their diet. Another post will be written geared more towards an athlete at a later time. Previous Post Training…And where you should Start. Next Post Women and the Truth about getting Bulky! I loved this site it was informative and so true about diets. Helped me to understand nutrition and dieting properly. this is a really great article.very healthy and inexpensive. I remember few months before I really had a problem with my fats and how to get rid of it. My aunt suggested that I would have an alternate food everyday of fruits and veggies and it really help. Great article, informative. Let food work for you. I truly believe you can shed inches and pounds by eating the right foods at the right time. I have done it and so can anyone.